By Lisa Newey-Keane, Life Sciences Sector Marketing Manager, Malvern Instruments. In mathematical circles, the word ‘orthogonal’ is used to define relations or objects that are non-overlapping, uncorrelated or independent. This definition is highly relevant when referring to analytical techniques as orthogonal, and, more importantly, understanding why orthogonality might be viewed as a desirable/valuable characteristic, as is often the case for technologies deployed in the development of biopharmaceuticals. 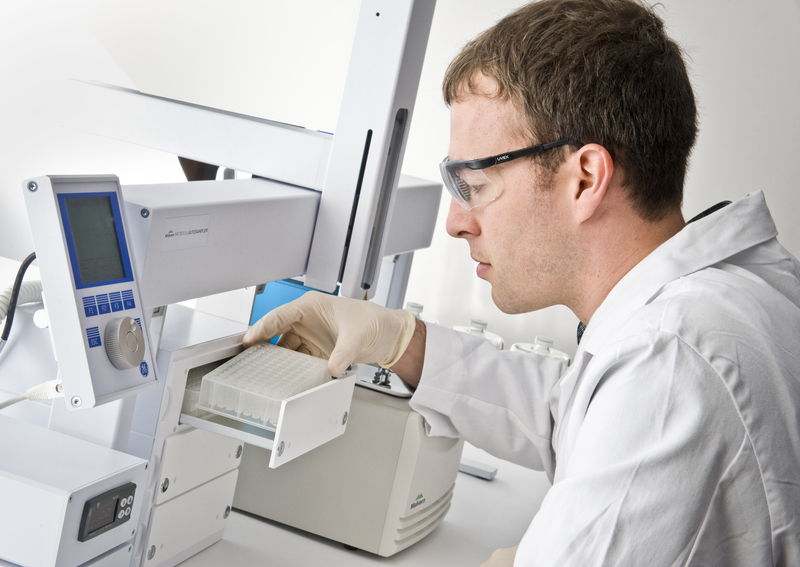 Researchers generally trust that their analytical instrumentation is producing robust, reliable and relevant results. However, in practice, it is advantageous to question and understand the factors that may impact those results, along with their potential role in influencing data interpretation. Orthogonal analytical techniques exploit different chemical or physical principles to deliver a measurement of the same parameter but via a different method, or to deliver different parameters that elucidate the same analytical challenge. 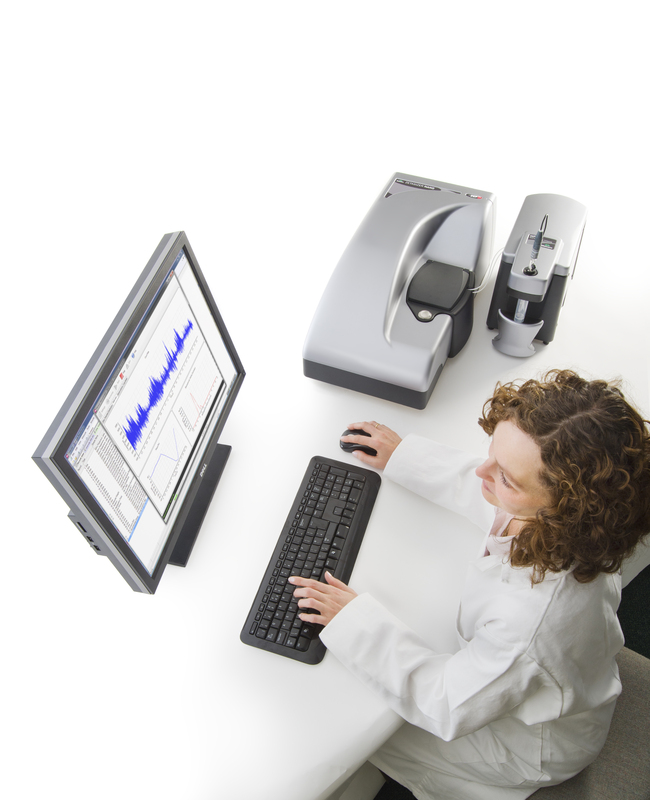 The use of orthogonal analyses can therefore guide identification of the most sensitive or useful technique for a specific application, help with troubleshooting a method that is performing sub-optimally, validate or otherwise data obtained with an alternative approach, or simply boost insight and extend understanding. To more tightly define the concept of orthogonality, let’s consider two example techniques: Static Light Scattering (SLS) and Dynamic Light Scattering (DLS), both of which are applied routinely in biopharmaceutical development to measure molecular size and weight. There are clear differences in these techniques that would lead some to suggest they are orthogonal, but is this really the case? SLS generates absolute molecular weight data from measurements of the intensity of light scattered by a molecule as a function of angle, as described by the Rayleigh Theory. DLS, on the other hand, measures the size and size distribution of molecules and particles, based upon the variation in scattered intensity with time at a fixed scattering angle, as particles move under Brownian motion. However, as both techniques measure parameters via light scattering, they are both subject to certain identical limitations. A key advantage of true orthogonality is that the techniques in question are not subject to the same types of error. So, let’s compare DLS with a different sizing technique: Taylor Dispersion Analysis (TDA). Like DLS, TDA measures the hydrodynamic size of proteins and small molecules in solution; however, unlike DLS, and indeed SLS, TDA does not involve measurement of the scattering of light. TDA is a microcapillary flow technique that works by measuring the time-evolved concentration profile of a nanoliter-volume sample pulse injected into a laminar flow of matched buffer. The changing concentration of the solute is detected by ultraviolet area imaging. TDA is a mass-weighted technique, since concentration measurements are dependent simply on the amount of material present. As a result, TDA size measurements are unaffected by the presence of a small amount of higher oligomers/aggregates. In contrast, DLS measurements are a function of the intensity with which molecules scatter light, which is related to size to the power six. This makes DLS very sensitive to the presence of larger aggregates, which can be ideal if you want to detect the presence of low levels of larger species, but less helpful if you are trying to analyze a mixture of smaller and larger particles. Here, TDA can be the better option, highlighting the complementary nature of the two techniques (see Figure 1). The preceding example demonstrates the approach of playing to the strengths of different techniques to access an optimized dataset – in this case, size data. However, the real value of orthogonal techniques lies in their ability to ‘round out’ or balance the picture of the sample, to provide fuller insight and more complete understanding. This approach is perfectly illustrated by the complementary application of DLS along with a different technique, Differential Scanning Calorimetry (DSC), in thermal stability studies. Ensuring the stability of a biological formulation is crucial in maximizing its efficacy, safety and shelf-life. Thermal stability studies allow direct comparison of the inherent stability of different drug candidates, rather than just their response to temperature, and are a routine activity in early stage formulation development. As previously mentioned, the attributes of DLS make it an extremely sensitive technique for detecting aggregates. DSC, in contrast, detects unfolding of the protein structure, which may be a direct cause of instability in its own right, or a precursor to aggregation. 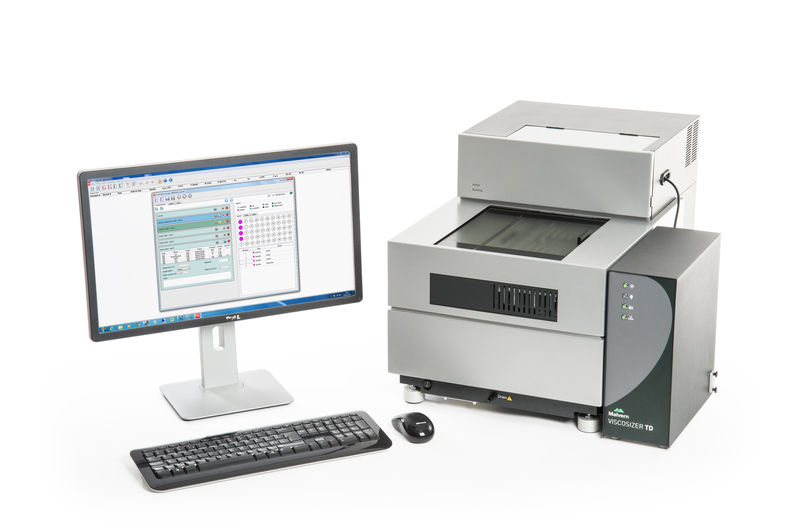 DSC instrumentation measures changes in enthalpy and specific heat capacity resulting from a reaction or molecular change, by comparing the power input required to drive up the temperature of two cells, one containing the sample, the other containing a reference. The resulting data can be used to develop a complete thermodynamic profile for a sample, which will assist in understanding the factors which affect its biomolecular conformation and stability. The principles underpinning these two methods of analysis mean that as with TDA, DSC can be classified as truly orthogonal to DLS. Thermal stability studies using DLS and DSC both involve the application of a temperature ramp to quantify the ease with which events associated with instability occur. DSC determines the melting transition or thermal transition midpoint (TM). In solution, a protein is in equilibrium between its native (folded) and unfolded state. 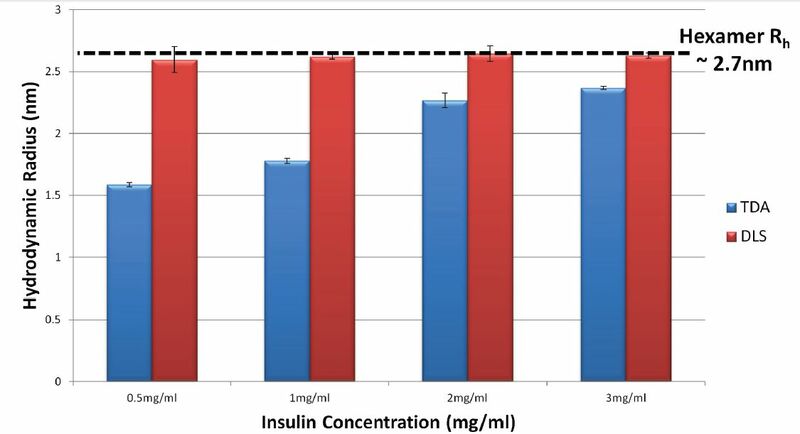 TM marks the point at which the populations of unfolded and native protein are present in equal proportions, and higher values are associated with more stable drug candidates which are less prone to unfolding. DLS, on the other hand, generates values for Tagg - the temperature at which aggregates are first detected. Higher values are associated with better stability here, too. These simple examples all serve to demonstrate the value and power of orthogonality in an analytical strategy. By utilizing orthogonal techniques, researchers can maximize the secure application of all analytical results generated. More importantly, they can look at the behavior of their biological samples from a variety of angles to ensure a comprehensive understanding. Testing a sample by various orthogonal techniques is a proven and robust strategy for securing the knowledge to progress rapidly to a safe and efficacious product. 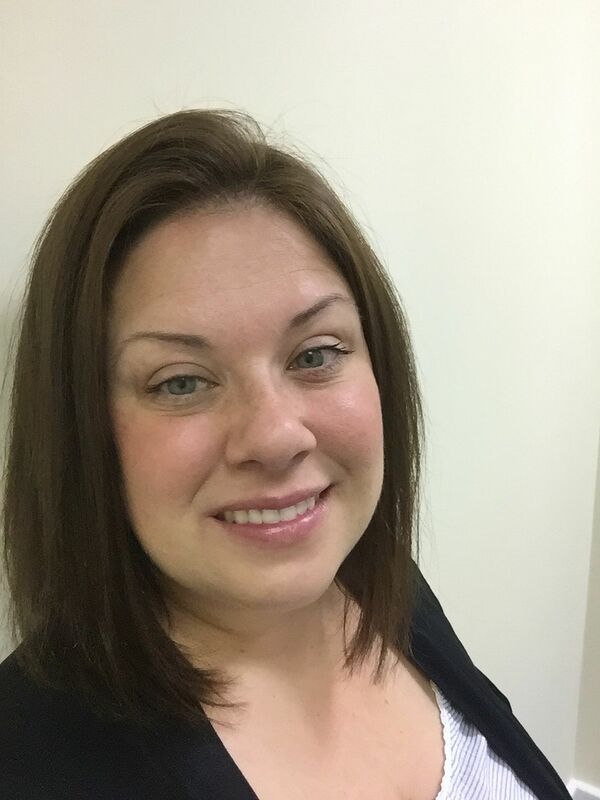 Lisa Newey-Keane is the Life Sciences Sector Marketing Manager for Malvern Instruments, based at Malvern's head office in the UK. She holds a PhD in Microbiology/Protein Biochemistry from the University of Birmingham, and her industry background is within contract manufacture and research, primarily for biopharmaceuticals and anti-infectives.